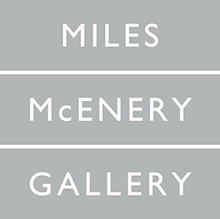 NEW YORK, NEW YORK – AMERINGER | McENERY | YOHE is pleased to announce an exhibition of paintings by Bo Bartlett. The exhibition will open on 7 July and will remain on view through 12 August 2016. A public reception for the artist will be held on 7 July from 6:00 to 8:00 PM. 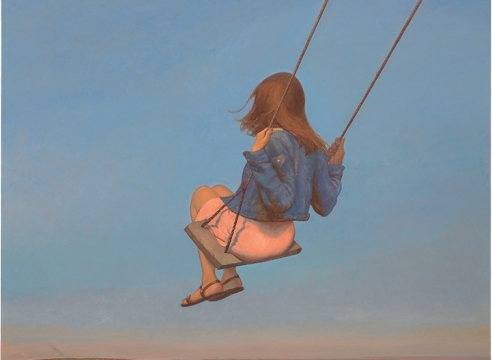 Bo Bartlett’s commitment to figurative art at an early age coincided with an era where the experimental trumped the representational and painting was mainly discussed in terms of its demise. His scenes are influenced by his childhood/current home in Georgia, his island summer home in Maine, and his past homes in Pennsylvania and Washington state, but convey a universal, romanticized home. Bartlett views America with a hopeful gaze despite, at times, our burdensome past and uncertain future. His paintings allude to historical and current events in an effort to continually balance the past and present using the specific yet universal commentary that is the foundation for his work. Realism is often blended with idealism as the artist does not confine himself to the precise rendering of the world we confront on a daily basis. A proficient and cultivated storyteller, Bartlett challenges our assumptions and attitudes of the functioning world through depictions of life, death, remembrance, transmission, and defiance. The artist’s push for social and economic justice is present throughout his works, often alongside and supported by portrayals of family and tradition. Awakening our speculative energies and demonstrating his political and psychological impact, Bartlett demands us to find the communal ground his art celebrates. BO BARTLETT (b. 1955, Columbus, Georgia) received his Certificate of Fine Arts in 1981 from Pennsylvania Academy of Fine Arts. He has had numerous solo exhibitions nationally and internationally. Recent solo exhibitions include Morris Museum of Art, Augusta, GA; The University of Mississippi Museum, Oxford, MS; “Love and Other Sacraments,” Dowling Walsh Gallery, Rockland, ME; “Paintings of Home,” Ilges Gallery, Columbus State University, Columbus, GA; “A Survey of Paintings,” W.C. Bradley Co. Museum, Columbus, GA; “Paintings of Home,” PPOW Gallery, New York, NY; and “Bo Bartlett,” Ogden Museum of Art, New Orleans, LA. Recent group exhibitions include “Rockwell and Realism in an Abstract World,” Norman Rockwell Museum, Stockbridge, MA; “Brine,” SOMA NewArt Gallery, Cape May, NJ; “The Things We Carry: Contemporary Art in the South,” Gibbes Museum of Art, Charleston, SC; “American Masters,” Somerville Manning Gallery, Greenville, DE; “The Philadelphia Story,” Asheville Art Museum, Asheville, NC; “The Outwin Boochever 2013 Portrait Competition Exhibition,” Smithsonian National Portrait Gallery, Washington, DC; “Best of the Northwest: Selected Paintings from the Permanent Collection,” Tacoma Art Museum, Tacoma, WA; “Perception of Self,” Forum Gallery, New York, NY; “Real: Realism in Diverse Media, Imago Galleries, Palm Desert, CA; “Thriving in Seattle: A Retrospective,” GAGE Academy of Art, Seattle WA; “private (dis)play,” New York Academy of Art, New York, NY; “Figure as Narrative,” Columbus State University, Columbus, GA; “Solemn & Sublime: Contemporary American Figure Painting,” Akus Gallery, Eastern CT State University, Willimantic, CT; Tacoma Art Museum, Tacoma, WA, “private(dis)play,” Center of Creative Arts, St. Louis, MO; and “Five Artists of Accomplishment from the Pennsylvania Academy of Fine Arts, Philadelphia, PA.
His work may be found in the permanent collections of the Greenville County Museum of Art, Greenville, SC; La Salle University Museum of Art, Philadelphia, PA; Pennsylvania Academy of Fine Arts, Philadelphia, PA; Santa Barbara Museum of Art, Santa Barbara, CA; Southern Alleghenies Museum of Art, Loretto, PA; Philadelphia Convention Center, Philadelphia, PA; McCornick Place Metropolis Pier and Exposition Authority, South Hall, Chicago, IL; United States Mint, Philadelphia, PA; Academy of Music, Philadelphia, PA; Office of the Governor, Harrisburg, PA; Curtis Institute, Philadelphia, PA; Franklin Institute, Philadelphia, PA; Hunter Museum of American Art; Chattanooga, TN; Morris Museum of Art, Augusta, GA; Denver Museum of Art, Denver, CO; and Seattle Art Museum, Seattle, WA. Bartlett is the recipient of the PEW Fellowship in the Arts, the Philadelphia Museum of Art Award; Museum Merit Award, Columbus Museum of Art, Columbus, GA; William Emlen Cresson Traveling Scholarship, Pennsylvania Academy of Fine Arts, Philadelphia, PA; Charles Toppan Prize, Pennsylvania Academy of Fine Arts, Philadelphia, PA; and Packard Prize, Pennsylvania Academy of Fine Arts, Philadelphia, PA.